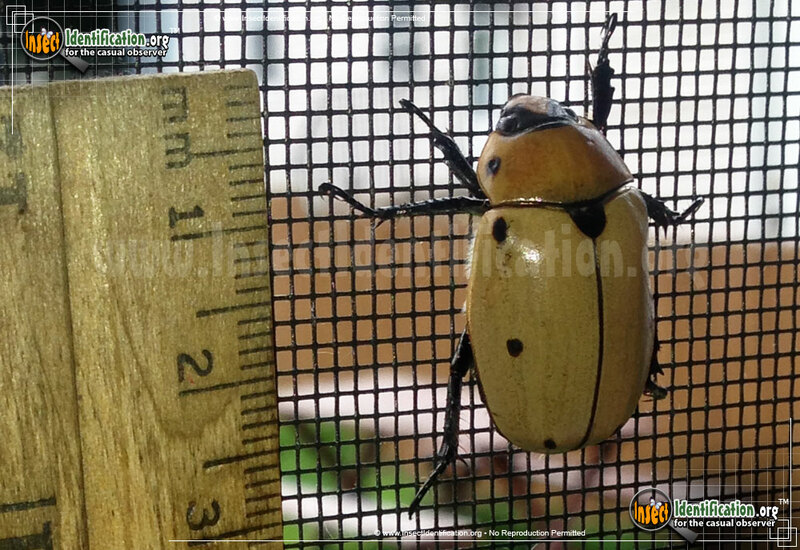 Detailing the physical features, habits, territorial reach and other identifying qualities of the Grapevine Beetle. 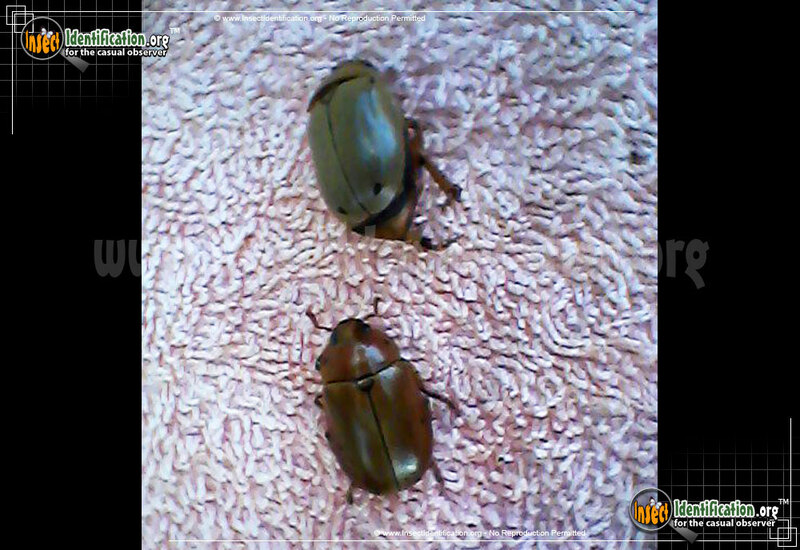 A reasonable beetle, the Grapevine Beetle does not devour the grapevines it feeds on, much to the relief of everyone that enjoys viticulture. 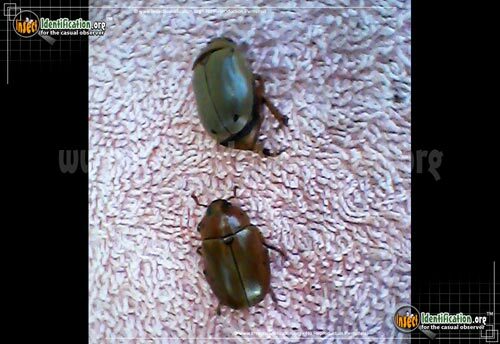 A Grapevine Beetle is part of the Scarab beetle family, so it shares a similar body shape to June Beetles and Japanese Beetles. The Grapevine Beetle may be a tan color or a darker shade of brown, with brown or black legs depending on the region. Legs are thick and have some serration and hairs on them. 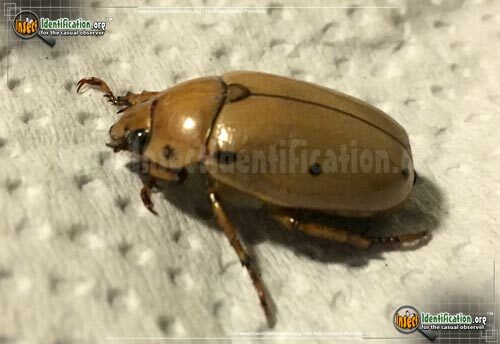 A distinguishing feature for identifying this species lies on its elytra. Each wing covering (elytron) has three black dots near the outer edge. The thorax also has a black dot on each side, keeping in line with those on the elytra. The area where the thorax and the top center of the abdomen meet has a black or brown semicircle. The black eyes side are on either side of the head, which may be tan or a darker shade of brown. 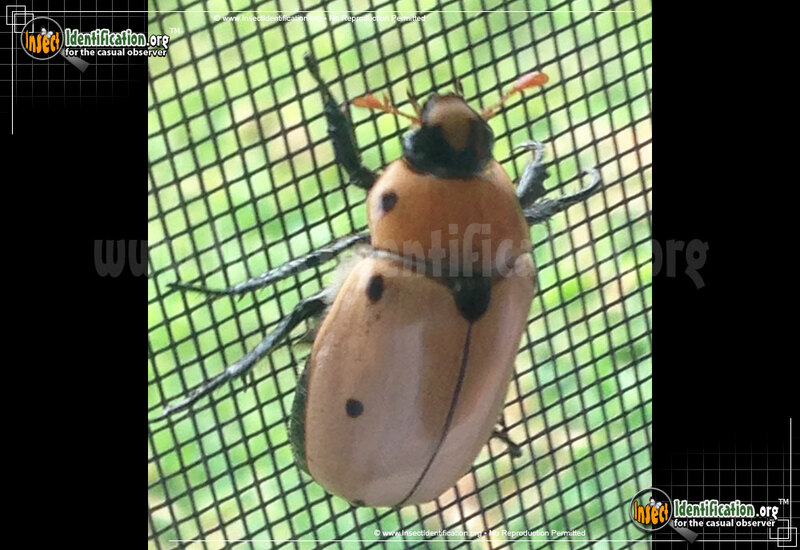 Despite their appetite for grapevine foliage, Grapevine Beetles do not have a serious impact on the plant's health or growth. Eggs are laid on rotting logs or tree stumps of deciduous trees. Larvae feed on the roots and other parts of these trees until they move to the soil to pupate. After one to two years, adults emerge in the spring and are active all spring and summer. 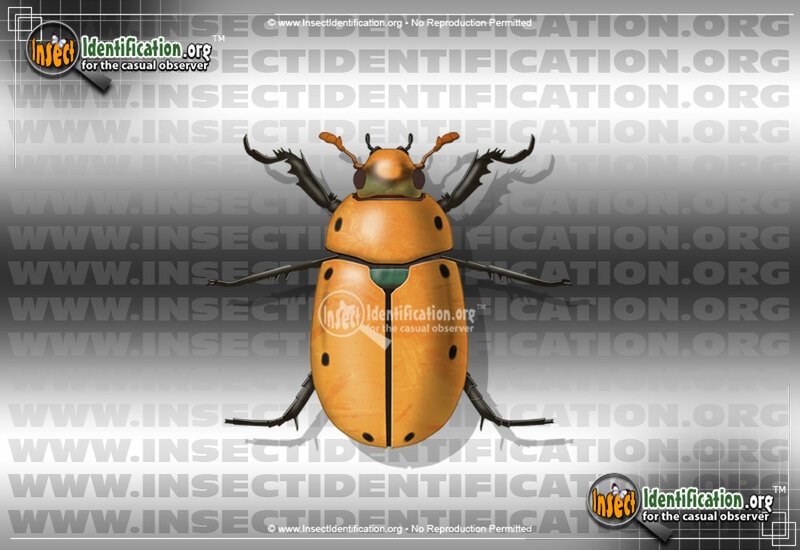 Look for them on flowers and leaves of grapevines, or in hardwood forests on fallen trees and logs where they go to reproduce.